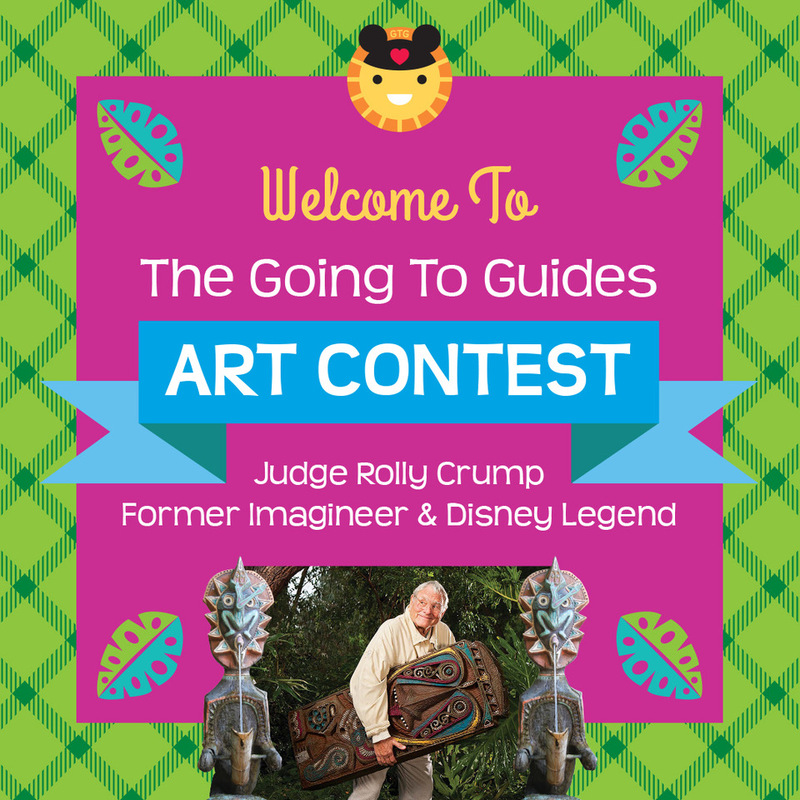 • Disney Legend and Former Imagineer Rolly Crump! There’s a full page of Enchanted Tiki Room art up for grabs in the next Going To Guide! Rolly Crump, who helped design the original Enchanted Tiki Room attraction, has graciously agreed to be our judge. Artwork should be themed to Walt Disney’s Enchanted Tiki Room attraction in Disneyland and should not include any copyrighted logos or other trademarked material. Submissions that look too much like actual Disney art cannot be considered. Going To Guides, published by Orchard Hill Press, and this contest are in no way related to the Walt Disney Company. • Entries must be submitted by Monday May 20, 2019. Email a low-res image (JPEG or PDF) to Shannon Laskey at lady@goingtoguides.com no later than 12 noon 5/20/2019 PST. All submissions will receive an email response confirming we have received your entry but will not receive feedback or be notified on the progress or outcome of the contest via email. Each of the entries will be carefully reviewed by the GTG team and Finalists will be selected to present to judge Rolly Crump. The final decision on the winner will be his, one of the original creators of the Enchanted Tiki Room! Once the winner has been announced, we will then request your high-res, print-ready artwork (EPS, TIFF or PDF) for publication. Contest participants must be 18 years or older and their submission must be their original artwork. The winning artist will sign a release form to allow their art to be shown in the book but retains all ownership of their work. Their artwork will be credited on the page it appears as well on the Contributors page in the back of the book, along with their website. Enchanted Tiki Room-themed artwork that the artist has previously created may be submitted as an entry. International entries are permitted. The winner will be announced first on Instagram as soon as the results are final. In the event that no appropriate entries are received, there will be no winner.